The Scarborough Spartans own the longest active losing streak of any high school team in Texas, 47 in a row dating to 2009. 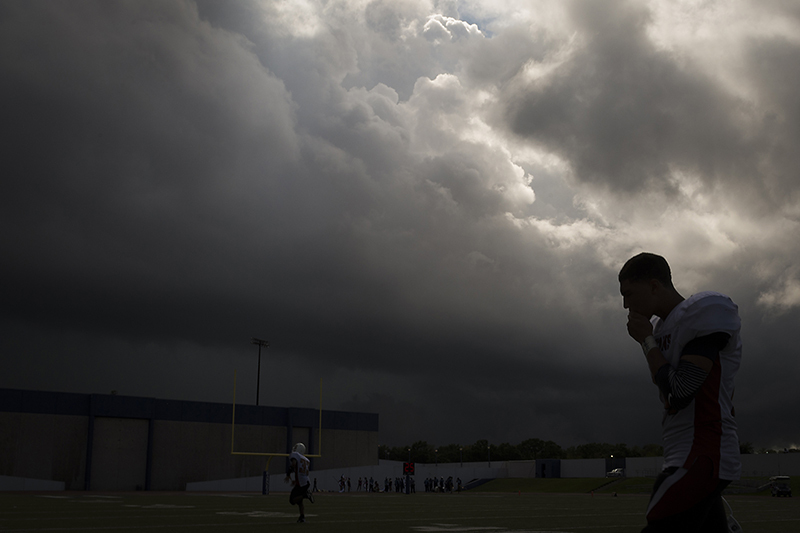 As dark storm clouds roll over the stadium Scarborough's Titus Randle heads for the locker room at halftime of a football game against Sterling on Saturday, Oct. 12, 2013, in Houston. Scarborough hasn't won a game since 2009, putting the team in the midst of the longest active losing streak in the state.